It is such an honour to welcome you to our ministry’s website. As we make a reality of and put into high gear the Great Commission to go into all nations, preaching the gospel of Jesus Christ and making disciples – (Acts 28:19-20), we at Trumpet Call Ministries International are excited to be a part of the end time move of God. Amen!! We are called to the kingdom for such a time as this when God is accelerating, imparting and bringing back the body of Christ to God’s original intent. At TCMI, we seek to reach the lost, transform them into leaders and release them to be change agents for the Kingdom of God! Our heart’s desire is for you to grow in grace and for your relationship with God to be strengthened. By His Spirit, we will touch lives and bring people to the saving knowledge of our Lord, Jesus Christ. We invite you to send in your prayer requests and as we stand with you in faith, we are persuaded that our God, the God of the impossible will touch and transform lives for His Glory. 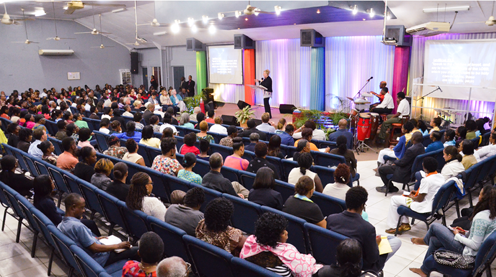 Is an apostolic and prophetic ministry headquartered at The Meeting Place Church on Howard Cooke Boulevard in Montego Bay, Jamaica. Worship services are held Sundays at 9:00am and 10:30am, at The Meeting Place. The focus of our worship service is to exalt God the Father, God the Son, and God the Holy Spirit. 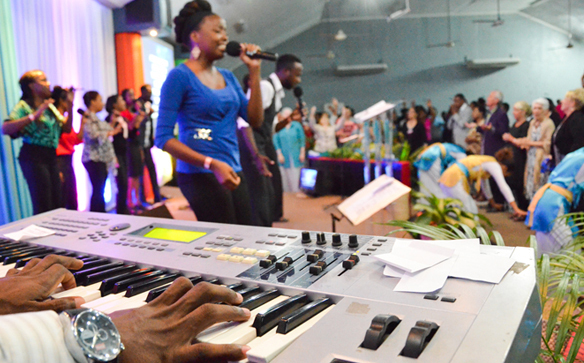 It is in this atmosphere of worship that people are equipped. The Meeting Place Church has been raised up by God to train, equip and release fully devoted followers of Jesus Christ that will radically impact every sphere of society thereby forcefully advancing the Kingdom of God locally, nationally and internationally. By the grace of God we will produce powerful, potent, and purpose filled disciples to live a “Victorious Kingdom Life” through the application of the Word of God in every area of personal, family, business and career life. 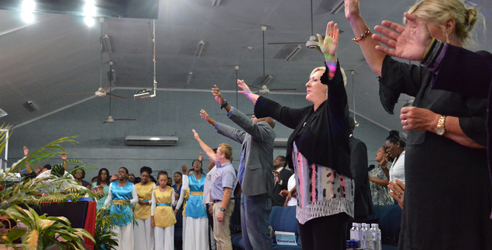 To establish High Impact Churches that will take the major gateways in cities and nations. To conduct training and equipping seminars and conferences that will empower and position believers to dynamically impact their generation for the Kingdom of God. Bring repentance to cities and nations. To foster unity in the body of Christ. Restore holiness and the fear of the Lord to the church. Usher in the manifest glory of God. To do all things in love. To conduct ourselves in a heart and spirit of honour. To walk in humility and brokenness in all things. To be transparent and accountable for our walk with The Lord. To walk in faith and boldness concerning the promises of God. To always work in Biblical lines of authority. To serve with joy at all times knowing that everything we do is unto God. To exhibit self – control and patience with others. To be zealous for the name of Yahweh and to uphold His values. To foster a deep hunger and intimacy with God and a knowledge of His Word. To manifest a spirit of excellence in all that we do.